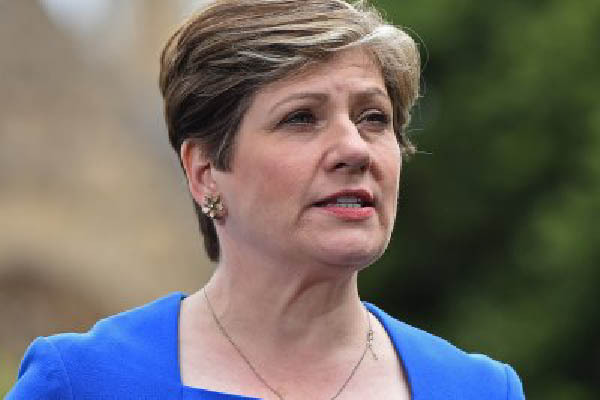 ISLAMABAD, Oct 23 (APP): Prime Minister’s Special Envoys on Kashmir Senator Lt Gen ® Abdul Qayyum and Qaiser Ahmed Sheikh MNA met the Shadow Foreign Secretary, Emily Thornberry at the British Parliament, said a press release on Saturday. The two Envoys briefed the Shadow Foreign Secretary on the gross human rights violations in the Indian Occupied Kashmir (IOK). They reiterated Pakistan’s commitment to resolve the issue peacefully. The Envoys urged the Shadow Foreign Secretary to raise the issue of human rights violations in Kashmir in the House of Commons and call upon the UK government to send a fact finding mission of British parliamentarians to IOK. The Shadow Foreign Secretary expressed concerns on violations of human rights in Kashmir. The use of pellet guns by Indian forces, she added, was not acceptable. She also expressed disappointment on India’s reluctance to send a UN fact finding mission to IOK. Ms Thornberry said that the only solution to the conflict was through peaceful dialogue keeping in view the aspirations of the Kashmiri people. She also praised the role of the Kashmiri diaspora for highlighting the just cause of Kashmir in the UK.